Even with a healthy economy and a strong year in retail, manufacturers are still experiencing unique profit challenges from rising costs to uncertainty with tariff changes. How a manufacturer approaches price changes — from gathering data, to communicating with retail partners, to training sales teams to make the sale — makes a huge difference in how retailers will interpret and implement changes. The reality of bringing a price change / increase to retailers is that no one formula will work for every brand, yet alone every product. How you position the increase as a win-win value to both manufacturer and the retailer can mean the difference between a strong long-term partnership or losing your share of the retailer’s business. Up-to-date data and analytics on the market, timing, negotiations, enabling your sales teams, and reporting and tracking need to be carefully executed. Simpactful has many years of experience executing price changes across multiple manufacturers and at many large retailers. What we found is that while most manufacturers need to consider a price increase, many of their sales teams have never executed a large-scale strategic pricing strategy with their retailer(s). Many teams struggle with finding the resources and time to cope with everyday business execution, which often leads to omission of critical questions such as “When is the best time to initiate a price change?” “What does this mean for MY retailer(s) and how does this fit with their individual strategies?” or “How do we best explain the factors driving the need for an increase?”. Executing a price increase without the right level of experience and knowledge can do more harm to your business than leaving prices (and as such cost) in their current state. The Simpactful team leverages our expertise and experience to provide sales teams with the tools, skills, and processes needed to build effective negotiations strategies that the retailer will respond to and that their teams can execute. When anyone sees the term “price increase” it automatically triggers anxiety but it doesn’t have to be that way. Very often manufacturers can show retailers that they can take a price increase and have it be a benefit. 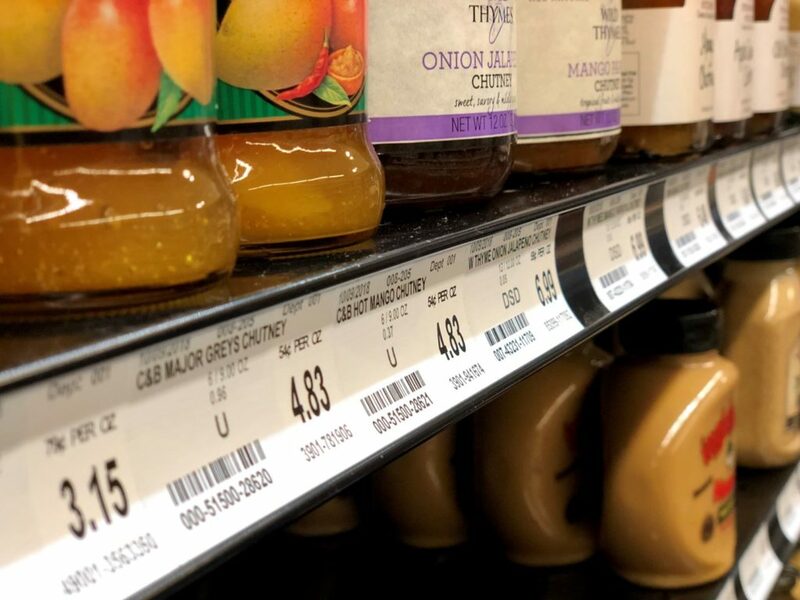 Simpactful has shown clients how necessary price increases can create category value for the retailers in ways that can position reinvestment into innovation, creative promotions, or segmented pricing strategies based on price elasticity of the consumer in different regions. Simpactful’s methodology of enabling manufacturers follows a process that drives more business growth by creating a foundation and approach that creates value for both sides. Manufacturers need to ensure their strategies are tailored to each specific retailer. Consumer behaviors and reactions to price changes vary from retailer to retailer and even go deeper at regional and specific market levels. We provide perspectives from experienced leaders of key retailers as well and leaders from large CPG manufacturers that have worked with these retailers. The initial process includes understanding the strategy and the reasons why a price increase is necessary. Since the Simpactful team has experience in many national retail chains and CPG companies, we are able to provide insights into what information is going to be most relevant to each retailer. When your company is considering pricing changes, there are clear do’s and don’ts that can ensure that you’re creating a win-win situation for everyone. Simpactful can provide the do’s and don’ts behind price increases (holistically and by retailer) so that your brand comes out of the increase with an even stronger Go-to-Market plan. A thoughtful approach to creating a pricing strategy lays the foundation for a successful plan; the details of execution are equally as critical. For example, timing of price changes and explaining these increases at a SKU level isn’t a nice to have, but a necessity. We stand ready to quickly help our clients execute pricing changes with excellence and deliver on Category and Brand goals. To learn more, contact the Simpactful team today at contact@simpactful.com or 925-234-6394.